The room is dead silent. You stare down at the paper on your desk, ransacking your brain for any hint of the answer to this test question that has you stumped. Your desperation mounts as you know the teacher is about to call for your test to be turned in. Why can't I figure this out, you think. But those thoughts only push the answer further into the recesses of your mind. Ever have an experience like that? I'm sure most of us have. Sometimes it's lack of preparation that gets us. Sometimes it's too much preparation, as in last-minute, sleep-depriving, all-night cramming. Sometimes it's just a really hard question. But there's another possible reason your thinking wasn't as sharp as you would have liked it to be: the air you were breathing. A couple of years ago, researchers at the Harvard T.H. Chan School of Public Health published a paper on an interesting research project. Their objective was to compare the subjects' ability to think in a conventional building with that in a green building. They studied how two kinds of indoor air contaminants, volatile organic compounds and carbon dioxide, affected the cognitive function of people who worked in the building. Let's see how they did the research and then look at the results. Here's their summary of the conditions in the building on each of the six days. Got all that? If you want more detail, you can download the paper. Here's what they found for the effect of carbon dioxide on cognitive function. The three levels of CO2 they used were the 550, 945, or 1,400 ppm I mentioned above. What I see here is that the lowest CO2 level results in better performance than the highest CO2 levels on most of the tests. A couple of the test results were flat for all three levels and a couple (crisis response and focused activity) showed a whole lot of scatter for the medium CO2 level. The main takeaway here, though, is that lower CO2 generally helps us do better on tests of cognitive function. And here are their results for the effect of VOCs on the nine domains of cognitive function they tested. The brown columns represent the conventional building with VOC levels at about 500 micrograms per cubic meter. In most of the cognitive function domains, performance was worse for the higher VOC air than for the regular green building (light green columns) and the green building with higher ventilation and lower CO2 (dark green columns). In case you're wondering why I didn't say cognitive function was worse in all nine domains for the conventional building, let me draw your attention to the error bars. Yes, the height of the brown columns is lower for all nine cases, but if you look at the error bars for "Applied Activity" and "Task Orientation," you'll see they overlap for the brown and light green columns. I've written here a number of times about Dr. Joseph Lstiburek's problem with the ASHRAE 62.2 committee's recommended ventilation rates for homes. Does this research invalidate Lstiburek's point? No, I don't think so. The actual variables they controlled in the experiment I discussed above were the levels of carbon dioxide and volatile organic compounds. Yes, they did vary the ventilation rate, but they also added CO2 to get the level they wanted. So the real key is controlling the levels of CO2 and VOCs. Ventilation is the main way to lower CO2 levels and source control is the best way to reduce VOCs. Can a green building really make you smarter? We don't need to get into the details of the definition of intelligence here to know that if your brain performs better, you're going to do things in a smarter way. Just spending your time in green buildings won't make you capable of understanding Einstein's general theory of relativity. But according to this research, breathing in air with lower levels of volatile organic compounds and carbon dioxide will make your brain work better. The authors of this paper make the point that we spend about 90% of our time in buildings. Over the past few decades, the air in many buildings has gotten worse as we've started to make them more airtight. We also put a lot of nasty, offgassing materials in our buildings. The result is that we breathe in more VOCs, more carbon dioxide, more particulate matter. And apparently it makes us dumb. You've heard of Sick Building Syndrome, right? Now we can add another one: Dumb Building Syndrome. (Just wait till the lawyers hear about that one!) But we can avoid it with source control: Keep the bad stuff out. We can avoid it with mechanical ventilation. We can avoid it by just being smarter. This is a great study on indoor air quality in green buildings compared to that in conventional buildings. It's another piece of the puzzle. We need more. Will Higher Ventilation Rates Reduce Student Absences in School? Fascinating! So better air makes us "smarter" and "badder" air makes us dumber. The implications are endless; classrooms, operating rooms, courtrooms/jury rooms, etc. are all places where we hope people are making smart decisions and therefore these places, and many, many others, should be properly ventilated to maintain good IAQ. Then I wonder what sort of bad air we're breathing in bumper to bumper traffic - sucking in a lungful of road rage, maybe? Wow! Yes, Walt, the air you breathe in a car can be much worse than what you breathe in a building. I saw the abstract of a study recently that looked at that issue. They found that running the AC helped with air quality inside the car as the condensation helped to pull contaminants out of the air, too. Haven't been able to see the whole study yet. Sick, dumb or otherwise - the end result is not to guess how much ventilation is need nor to guess if outside air is better than inside air nor to guess what part of the indoor air is off (CO2, PM2.5, ozone, etc.). The result is to monitor indoor air to see if there is a problem to begin with so you can properly address it. You can't manage what you don't measure, and outside air quality is already being measured (in the USA) by the EPA (https://airnow.gov/index.cfm?action=aqibasics.aqi). 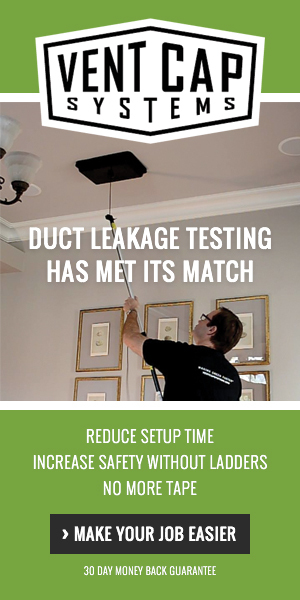 Now where are the affordable, accurate indoor air monitoring systems that match? I agree, David. We need more measurements. There are plenty of devices out there to measure what's in the air, but unfortunately, I don't know of any that are both accurate and affordable (assuming that latter term is defined as on the order of $100 rather than $1,000+). Here is part of what he found from the Z-mans blog (reviewed and approved by Dr. Wargocki) after the show. To their surprise they could not observe the effects on performance during exposures to CO2. And neither there were any negative subjective responses seen. In contrary the exposure to bioeffluents (with CO2) caused responses which were particularly strong at 3000 ppm. They could not solve the mystery of why CO2 could cause the negative effects. They then decided to extend the levels of CO2 to close to 5000 ppm, which is an occupational limit, but again no negative effects on performance on their batteries of tests were seen. The question of whether CO2 is a pollutant remains thus partially unanswered. Interestingly bioeffluents with CO2 produced effects indicating that the lack of effect is not due to lack of sensitivity of the selected experimental approach. It's more complicated than we would like! Thanks for the update, Joe. I guess I missed that when you had him on your show in August. I wasn't blown away by the CO2 results in the Harvard study so I'm glad to hear there's been some followup work done. A number of other universities have also looked at cognitive function and air quality and their results correlate with the Syracuse study. Most of human existence has experienced CO2 levels of 180-280 ppm. The global average is now about 400 ppm. Classrooms and offices may see levels of 1,000-3,000+ ppm. Stanford's Mark Jacobson has also studied CO2 domes, higher concentrations of CO2 (600-1,500+ ppm) over urban areas. During periods of high CO2 levels, ventilation may not lower the CO2 and VOC levels significantly, in fact they may raise them, depending on outdoor levels. This leads me to ponder just how much older urban buildings housing our nation's leaders may compromise cognitive function and critical reasoning. Do we need continuous monitoring in all buildings (including bedrooms) to ensure wise decisions? Where can we buy residential and commercial CO2 scrubbers? Or are my thoughts about this compromised by the CO2 levels in my office? All good questions, Dale. We may be heading to a time when we all have to carry our oxygen bottles wherever we go. Well that clinches it. All of those tests I failed when I was a kid were because the air was bad in the classrooms. Maybe I can go back and sue the schools blaming them for my poor results and stunted future. Lost potential wages times 30 years, yes, "looking for the right lawyer now". Hey, it could happen in this liberal age.